With developments in virtual assistant technology improving on a daily basis, and sales of units such as Google Home and Amazon’s Alexa increasing, it’s time to consider what this means for digital marketing. In a world where users only have to ask a question, and be answered directly, without a Search Engine Results Page (SERP) to choose from, where does this leave your digital marketing efforts? Well, here at Pumpkin Web Design, we are Preston’s leading web marketing, and web design experts. And we work with a wide range of customers to provide high quality, practical web solutions. Including content marketing and SEO. As a result, we have produced this guide to Google Home and SEO. Google home can provide answers to users questions. However, it is not yet able to provide an answer to any and all questions. Instead, it relies on the featured snippets, or rich results to read from. And this means that if you want your company content to reach a wide range of users, it’s no longer enough to aim for the first page of the SERP. It’s not even enough to be number 1. You need to be landing in that position 0. The rich result. And this means approaching your SEO slightly differently. So what exactly are rich results? Well, these are search results that have been enhanced, because Google’s algorithm recognises that the extract can answer the users question directly, and succinctly. A rich snippet will generally appear above the first organic result, in a position known as rank 0. It may be boxed off, and also supported by an image. The rich snippet will summarize the information from the text, and display this as an answer. 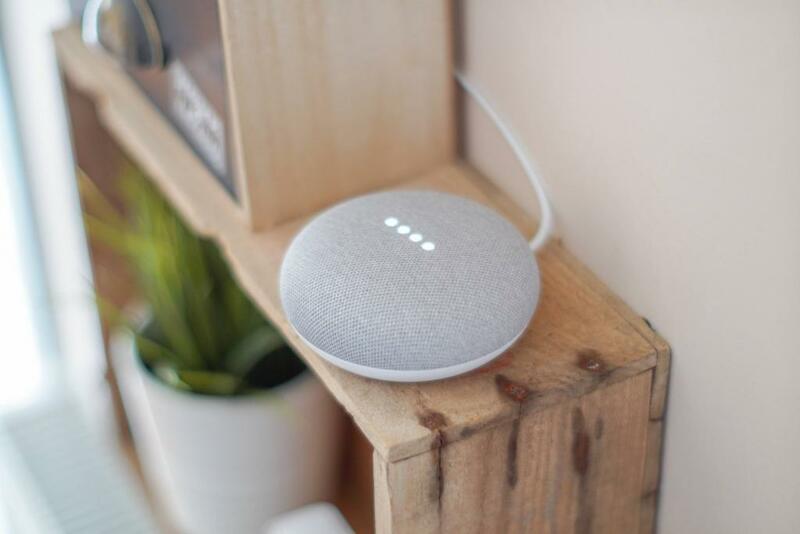 In terms of Google Home, or Google Assistant, the rich result is read out to the user, with the introduction: “According to the website, [insert website name]”. This means that users will generally discover your company name, as well as the answer to their query. And the user will also be sent a link to your content, to read through themselves. Plan for speech, not text- The main difference between virtual assistants and a normal search is the use of verbal commands. And this changes the dynamic of the search itself. Say for example, a user wanted to know the recipe for fairy cakes. On a mobile device or laptop, they would simply type in “fairy cake recipe”. However, this is not natural language to use when speaking. And users will instead find themselves asking “What is the recipe for fairy cakes” or “How do you make fairy cakes?” And this is what your content should be optimised for. More long tailed keywords that are directly answering a question. The length of the snippet- In general, the length of a chosen featured snippet will vary. But the average length is around 50 words. And this means that you need to be able to accurately and precisely sum up your answer, and provide useful information in those 50 words. Consider text to speech- Your content need to be read aloud by the Google Assistant. So using clickable links, or organising your information in tables will not be useful. In fact, when read aloud this could be very confusing. Instead consider bullet-points to organise your content. Use the right structured data and schema markup language. For more information or for professional web marketing advice or support, get in touch with the experts today, here at Pumpkin Web Design.